Manufactured at the Lake City Army Ammunition Plant to Federal Cartridge Company specifications for commercial ammunition. The boxer-primed, reloadable brass case is headstamped with the Federal symbol and date of manufacture. Water-resistant lacquer-sealed primer. Every cartridge is visually inspected before packing. 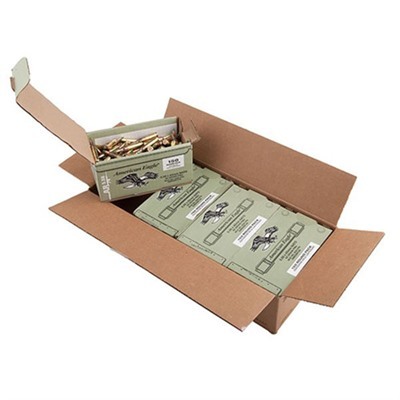 For use only in rifles with chambers designed for 5.56mm x 45 ammunition. Some ranges prohibit steel core ammunition; check range rules before shooting this ammo.